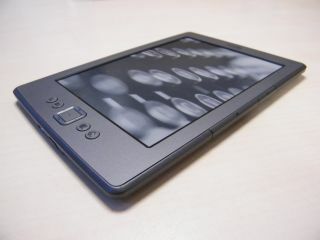 Are the Kindle's days numbered? The Amazon Kindle Fire 2 looks like it will be landing in both an 8.9-inch and 10-inch flavour when launched later this year. Digitimes sources state the online shopping giant will shift its focus away from ebook readers and concentrate on the rapidly expanding tablet market with a successor to the 7-inch Kindle Fire and a bigger 10-inch device. Amazon has witnessed strong sales of its first Kindle Fire tablet, seeing 3.98 million units fly off the shelves in the last quarter of 2011 – leading to a 14% share of the global tablet market, according to market data. The source also claimed that Amazon has reduced its E Ink orders (the fancy screen technology found on Kindle e-readers), raising speculation that it could shift solely to its Kindle Fire tablets. Previous reports have hinted that the Kindle Fire 2 may rock an 8.9-inch screen, but this latest leak suggests this will be replaced with a 10-inch model. It is still unclear what Amazon's tablets plans are going forward, but we expect it to launch a bigger screened model to compete with the likes of the new iPad and Samsung Galaxy Tab 2.